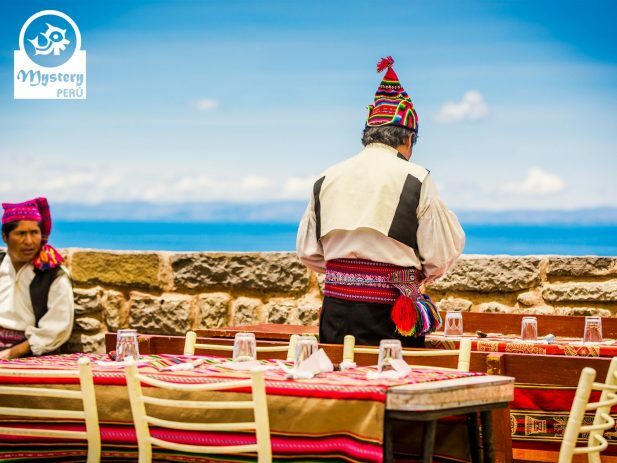 Our Lake Titicaca and Trek to the Colca Canyon take you to live a fantastic Andean experience. 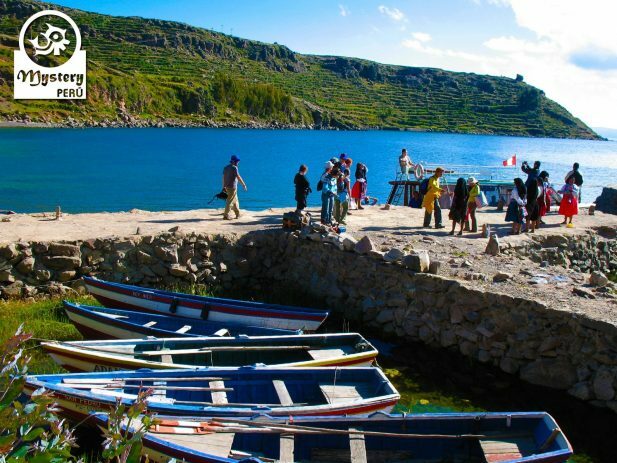 This journey starts at the shores of the Lake Titicaca in Puno and ends in the white city of Arequipa. Shortly after that, we join our host family and go up with them to check-in at their house. Men are given ponchos and wooly hats, the hats are handmade by the families, with unique styles. Likewise, women get colorful skirts, blouses, and veils. 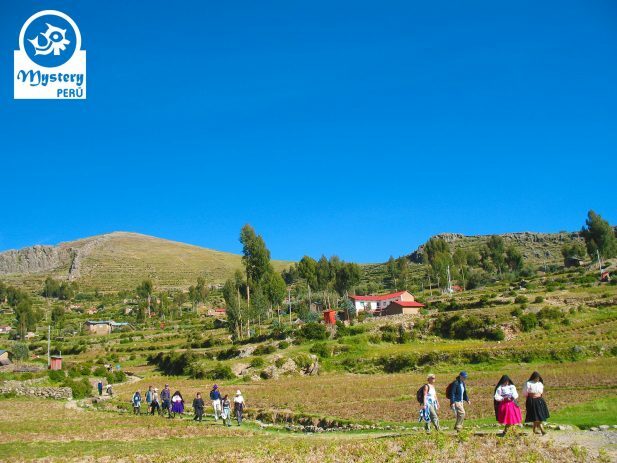 Day 4: Private trip to the Colca Canyon – Cabanaconde village – San Juan de Chuccho. Shortly afterward, we will drive towards the Colca Canyon. 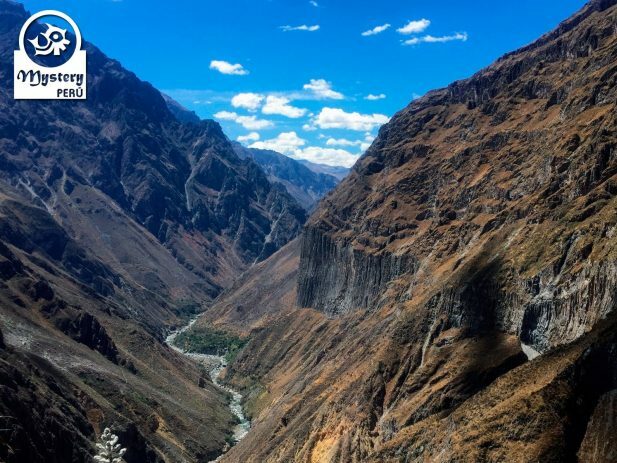 After approximately four hours we will reach the village of Cabanaconde. Soon after our arrival, we get ready and start to descend into the canyon. During the trek, we appreciate diverse vegetation, including tropical flora. Once at the bottom of the canyon we will cross a suspension bridge to get to our campsite. Overnight in basic cabins at the San Juan de Chuccho campsite. Day 5°: Trek from San Juan de Chuccho to the Oasis of Sangalle. Shortly after breakfast, we continue our trek up towards the village of Cosnihua and Malata. Here we will learn with our local guide about the lifestyle of these rural communities. 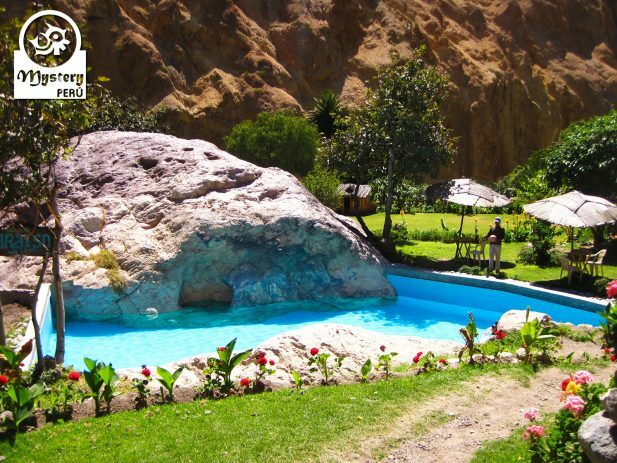 Later on, we will descend until the village of Sangalle, where exist a beautiful oasis. 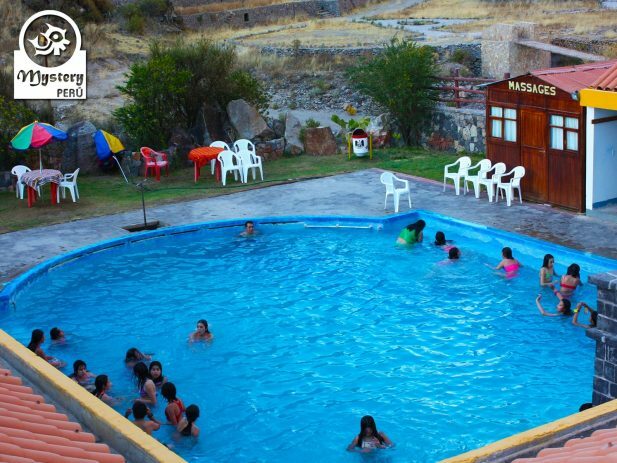 Here there is a nice pool containing thermal water (18°C); therefore you may relax in it. Overnight in basic cabins at the Sangalle campsite. Day 6°: Sangalle Oasis – Cabanaconde – Cruz del Condor – Arequipa. Before the sunrise, we begin our trek and head up towards the Cabanaconde village. After approximately 3 hours we get out of the canyon and arrive in Cabanaconde. Here we will have free time for breakfast, as well as free time to rest a bit. Afterward, we will visit the Cruz del Condor, located nearby. Also, you will have time to walk along the edge of the canyon and take great photos. 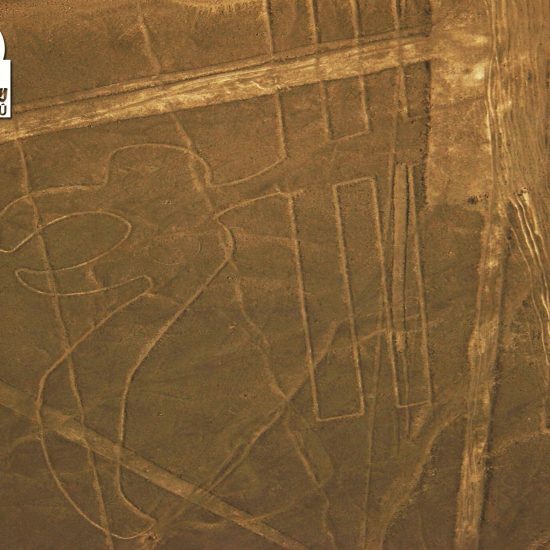 Eventually, we will drive to the village of Chivay, passing through typical villages on route. 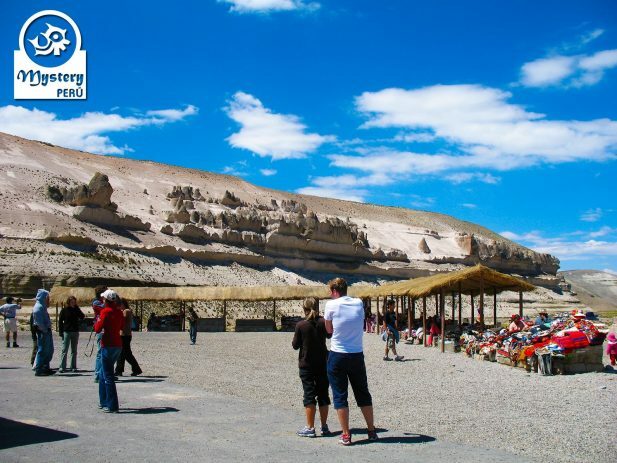 At around 12:00 hrs, we will stop at a restaurant for lunch and afterward will drive back to Arequipa. 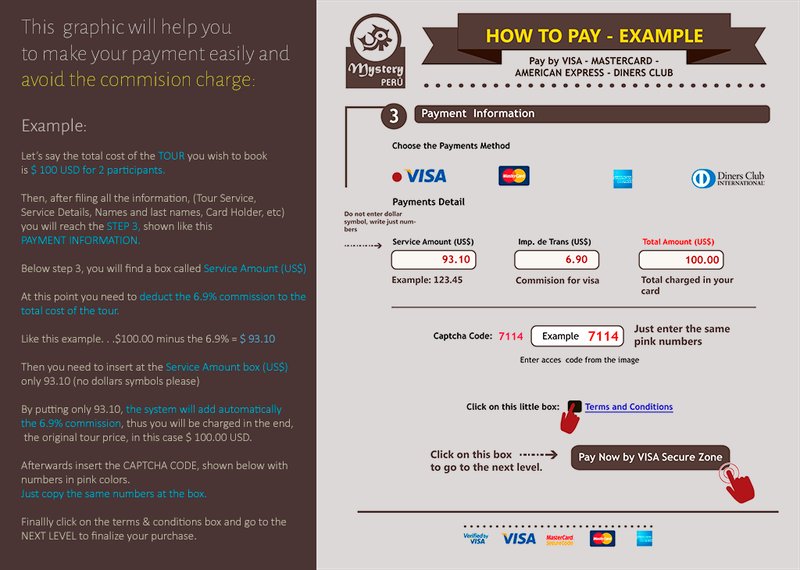 Upon arrival, our driver will drop you off at your hotel. 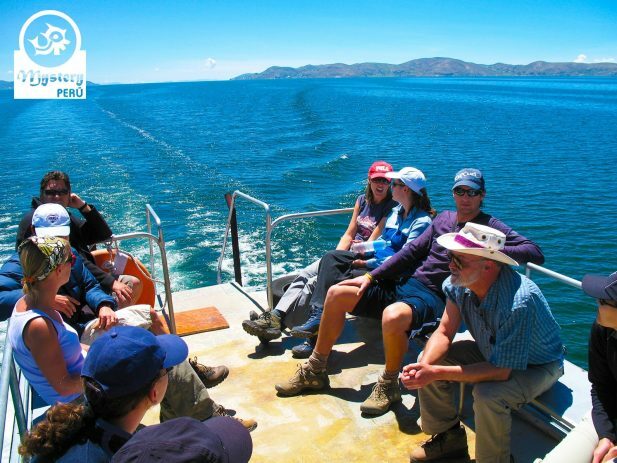 The Lake Titicaca and Trek to the Colca Canyon Trip are subject to availability. 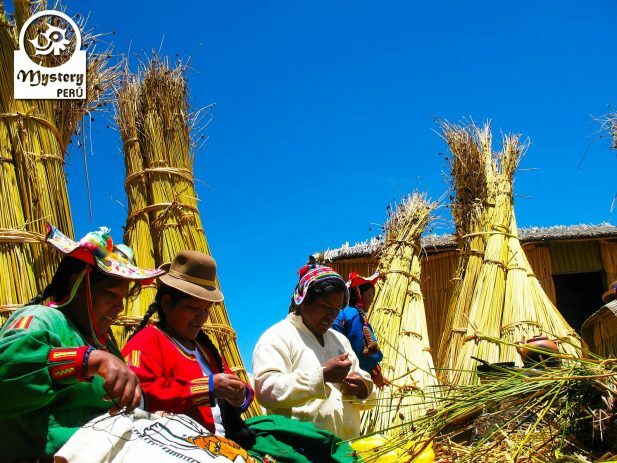 Private transportation - Puno - Cabanaconde. Accommodation at basic cabins on a campsite. Private transportation to the city of Arequipa Arequipa.